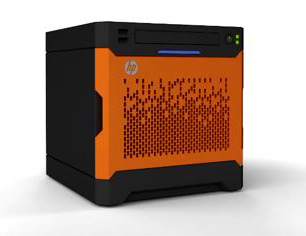 The beta program for the upcoming HP Microserver G8 is in full swing. At least two beta units are out in the field within my sphere of contacts, however I refused the offer to take part in any beta after the removal by the HP Microsevers page on Facebook. Some of the details I have been leaked by internal HP contacts is only now becoming clear. I was given the follow images last week from someone inside HP. 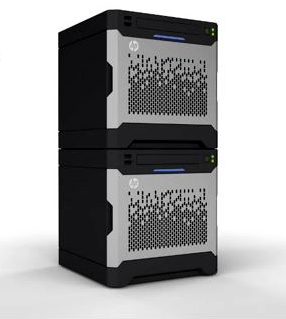 These show a very modular unit, indeed stackable with other Microserver-like chassis units. This feature was considered to be a part of the external storage unit, however with that also confirmed as no longer happening, the modular design seemed to have been a hangover of the previous product development and design. 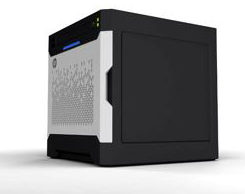 “stackable unit, smaller in height than the Microserver unit itself, for backup purposes”. An LTO4/5 tape backup unit. Considering the four USB ports on the back, all quite possible scenarios. Of these, I think the RDX unit most likely as this unit is being targeted at the smaller remote offices where a simple backup solution is often lacking. Another beta tester has raised the possibility of another component that they have actually received and are testing. While I cannot divulge this information yet as it may be traceable back to the end user due to forums I frequent. That said, I was surprised that this sort of module is available and currently testing with customers, but is a brilliant move by HP. Finally, we found this on a slide from an internal HP source… I wonder what this could be?